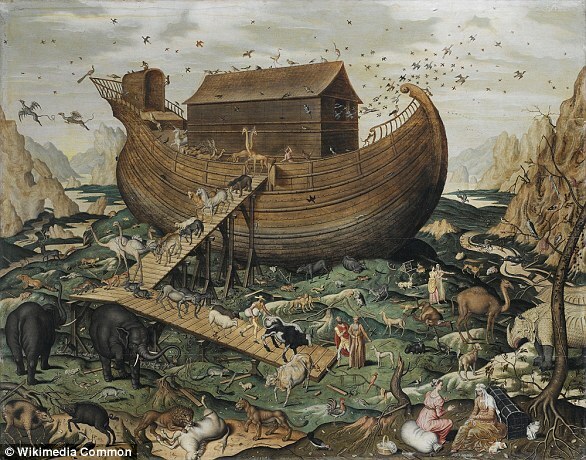 Noah's Ark could soon be found, if one group of explorers is to be believed. In the Bible it is claimed the ark settled on the 'mountains of Ararat' in Turkey after 150 days. 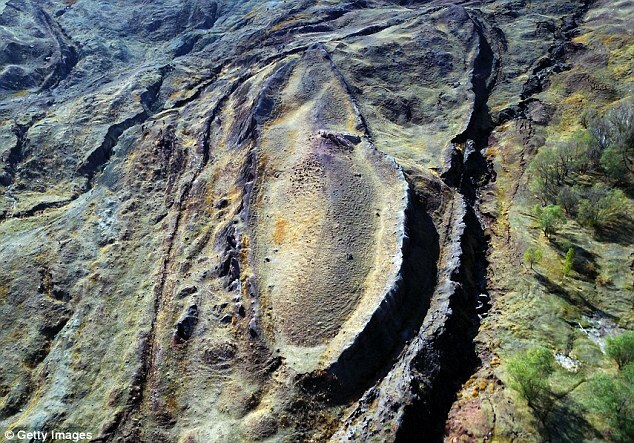 In 2010, a group of evangelical Christian explorers claimed to have found traces of the biblical ship on the mountain. But their research was widely dismissed by experts who said it lacked real evidence. 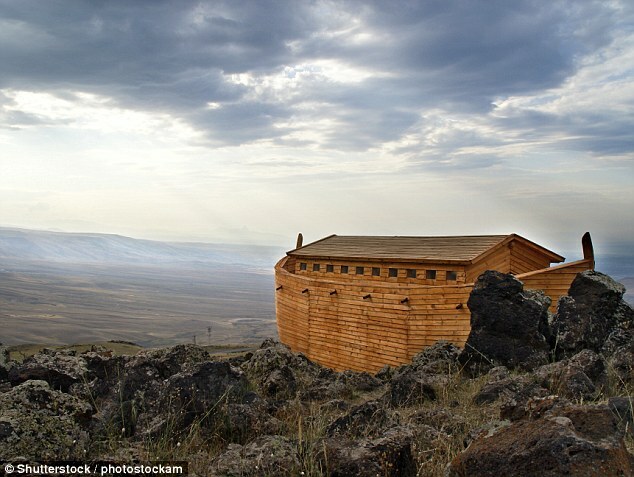 Now a California-based 'ark hunter' believes there is new evidence Mount Ararat is where the ark and its inhabitants came aground - and the new claims have received similar reception from the scientific community. More than 100 researchers from around the world recenlty came together as part of a three-day international symposium on Mount Ararat and Noah's Ark in Ağrı in Turkey to see if they can find the ark's final resting place. 'My purpose is to visit the sites around the mountain to find clues about catastrophic events in the past', said Professor Raul Esperante from the Geoscience Research Institute. On their website it states their mission is to 'discover and share an understanding of nature and its relationship with the Biblical revelation of the Creator God'. In 2010, a group of Chinese and Turkish evangelical explorers set out on an expedition to explore the region and find the vessel's remains. After a few weeks, they claimed to have found wooden specimens from an ark-like structure 4,000m (13,000 ft) up the mountain. The mountain is the highest peak in Turkey, standing more than 5,100 metres (16,500 ft) tall. The team claimed they carried out carbon dating on the wood, which proved it was 4,800 years old, around the time the Ark is said to have been afloat. The vessel was said to measure '300 cubits, by 50 cubits, by 30 cubits', which translates to up to 515ft long, 86ft wide and 52ft high. Professor Esperante is convinced this is true and requires more 'rigorous, serious scientific work' in the area, writes the Express. He has urged for international investment into a full investigation. 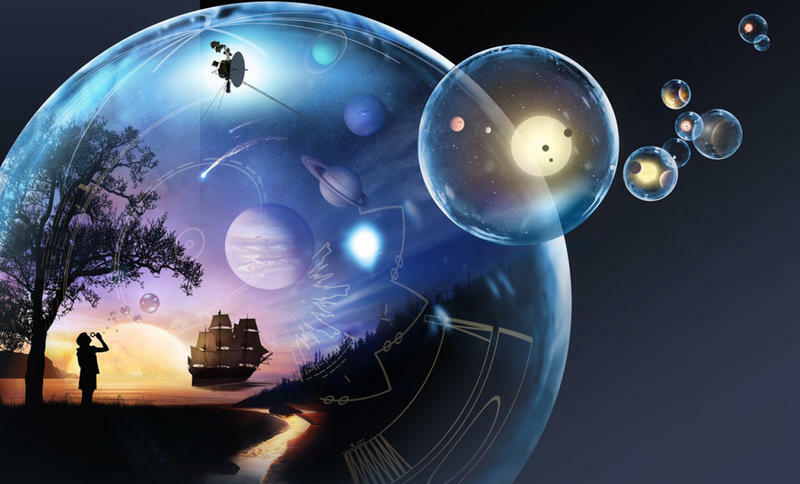 'The result of my findings will be published in books, publications and journals, but at this point it is too early to know what we are going to find', said Professor Esperante. Nicholas Purcell, a lecturer in ancient history at Oxford University told MailOnline the claims were the 'usual nonsense'. 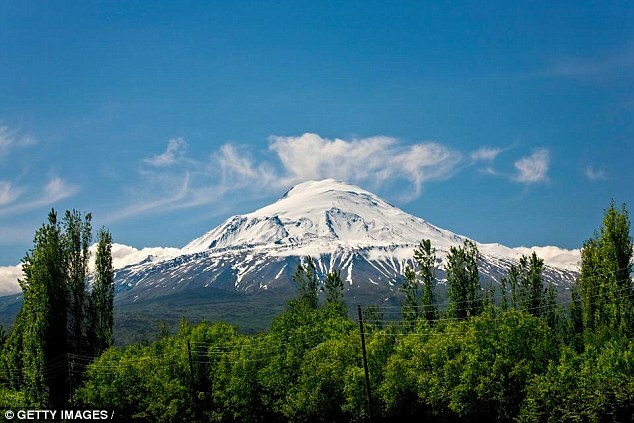 Many believe that Turkey's Mount Ararat, the region's highest point, is where the Noah's Ark and its inhabitants came aground thousands of years ago. Although considered a historical event, most scholars and archaeologists do not believe in a literal interpretation of the Ark story. Talking back in 2010 when the claims were first made, Mike Pitt, a British archaeologist, said the evangelical explorers had yet to produce compelling evidence. In the Bible, God commands Noah to build a vast ship, the ark - capable of saving himself, his family and a representation of the world's animals. God was spurred by the wickedness and corruption of man, vows to send a great cleansing flood. Deeming Noah to be the only righteous man worth saving, God commands him to build a vast ship. According to the Bible, when Noah has completed his task, and God has sent 'two of every sort' of animal to the Ark, the flood waters rise until all mountains are covered and life (except fish) is destroyed. 'Noah's Ark, the Flood is not a myth but a real incident mentioned in all holy books', said Dr Oktay Belli from Istanbul University. However, Dr Andrew Snelling young-Earth creationist with a Phd from the University of Sydney says that Mount Ararat can't be the location of the ark because the mountain did not form until after the flood waters receded. Talking after the initial claims in 2010, Mike Pitt, a British archaeologist, said the evangelical explorers had yet to produce compelling evidence. In the Bible, the story of Noah's Ark appears in chapters six to nine of the Book of Genesis. It tells how God, spurred by the wickedness and corruption of man, vows to send a great cleansing flood. Deeming Noah to be the only righteous man worth saving, God commands him to build a vast ship, the ark - capable of saving himself, his family and two of each of the world's animals. When Noah completes his build, God sends 'two of every sort' of animal to the Ark before flood waters rise until all mountains are covered. The vessel is said to measure '300 cubits, by 50 cubits, by 30 cubits', which translates to up to 515ft (155m) long, 86ft (26m) wide and 52ft (16m) high. All life non-aquatic life is destroyed in the ensuing global disaster. When the flood subsides, the animals leave the Ark and God vows to never again send a flood to destroy man. Many believe that Turkey's Mount Ararat, the highest point in the region, is where the ark and its inhabitants came aground.